If you need a rebuilt standard transmission for your vehicle the cost can vary depending on the type of car or truck you have, they type of transmission in your vehicle, and the labor to work on your car or truck. Domestic cars and trucks cost less than high end foreign import cars. The extent of the damage will determine the cost of the service your transmission needs but honesty and integrity or paramount in finding the best repair shop to work with. Often your vehicle will only need a component or a few parts replaced which costs much less than a rebuilt or remanufactured transmission. Very old vehicles can cost a bot more because the parts are more rare. The good news for manual transmission owners is that these types of transmissions are less expensive to repair or rebuild than automatic transmissions. Our Ft. Lauderdale Transmission Repair Shop rebuilds and installs standard transmissions and remanufactured standard transmissions in cars and trucks only if we determine that the problem goes beyond inexpensive, minor repairs or component replacements like adding more fluid, O rings, bearings, worn gears, the modulator, or the reverse idler gear to name a few. Other common problems with auto transmissions are slack in the clutch when the linkage doesn't pull the disk away from the flywheel and the gears won't disengage. In electronic transmissions often the solenoids, which control many of the functions or a properly working transmission, go bad. The torque converter's worn out needle bearings will cause you to hear unusual sounds coming from the transmission when it is engaged. These issues can be fixed without installing a rebuilt transmission or a remanufactured transmission which has a longer warranty. 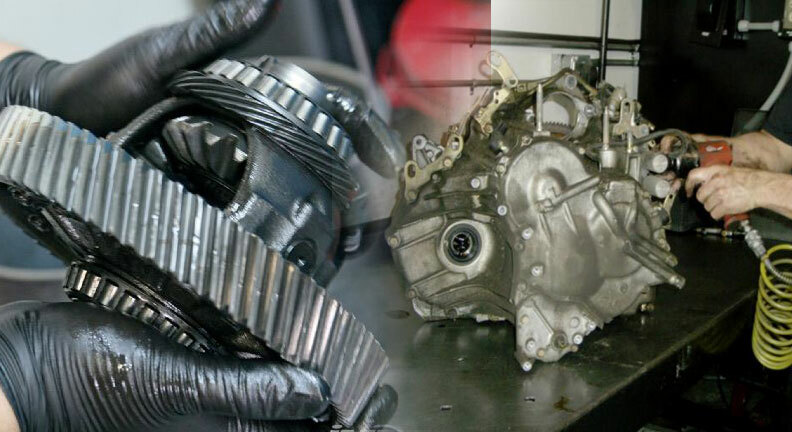 A rebuilt standard transmission is when our Ft. Lauderdale Transmission repair shop disassembles the transmission and damaged hard parts are replaced and then reassembled according to your car or truck's manufacturer's specifications. Soft parts which most commonly include the clutch, gaskets, seals, and bands are also replaced. A remanufactured standard transmission is the same as a rebuild but slightly more in cost because the transmission is rebuilt at the factory. Specialists for each manufacturer such as Nissan, Ford, Chevy, Toyota, Chrysler, etc work on the transmission they are trained and experienced at rebuilding. Another option is to have a used standard transmission installed into your car but those warranties are not as good as a rebuilt or remanufactured transmission. Fort Lauderdale Transmission Repair Shop has the lowest prices in Broward County so make sure you call and get a quote before taking your car in for service. We also give you a good warranty so you are rest assured your rebuilt or remanufactured standard transmission is safe and will last. We also can provide you with a cost quote and service to have an automatic transmission rebuilt.